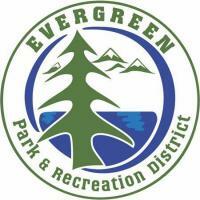 The mission of the Evergreen Park & Recreation District is to improve the quality of life of the Evergreen community by providing a wide range of excellent, financially responsible park and recreation amenities and programs while maintaining and enhancing the area's mountain character. Evergreen Park & Recreation District (EPRD) is a Special District created in 1969 to serve the park and recreation needs of our constituents. Today, EPRD serves approximately 22,000 people residing within the District boundaries, as well as many living outside. The District serves the communities of Evergreen, Bergen Park, Indian Hills, Kittredge, and Marshdale. The district has a number of facilities; Evergreen Lake House, Buchanan Park Recreation Center, Wulf Recreation Center, and a number of parks and fields.